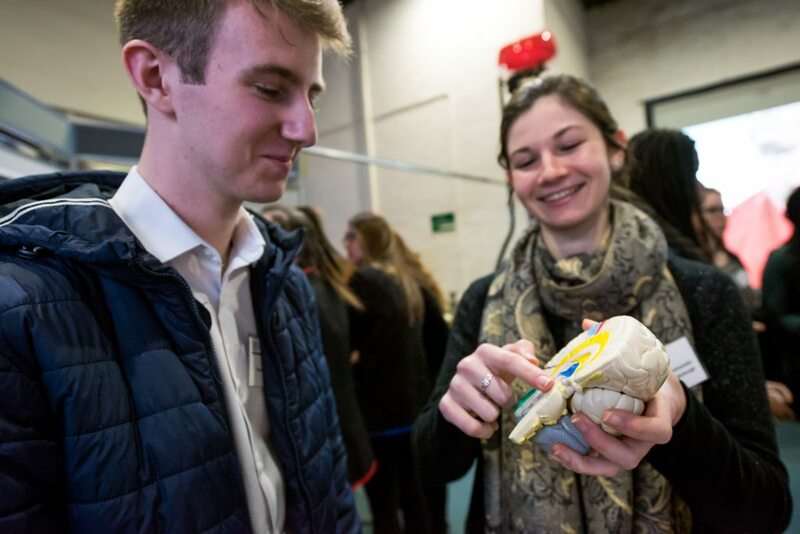 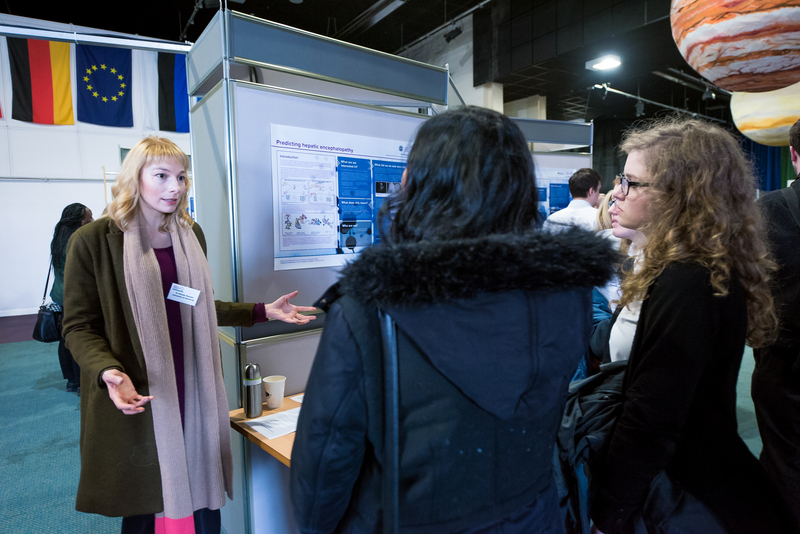 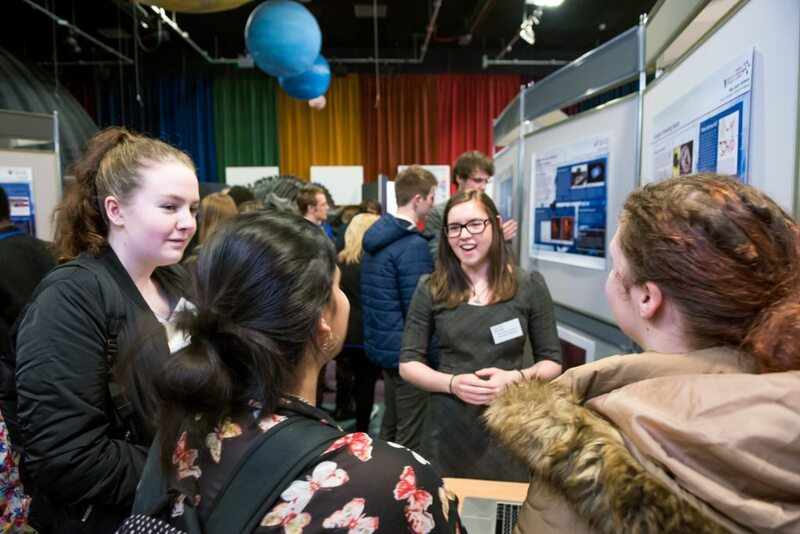 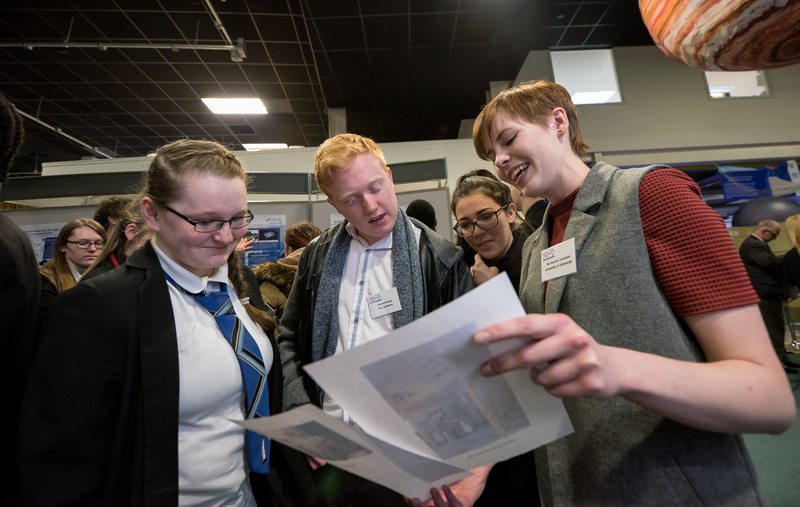 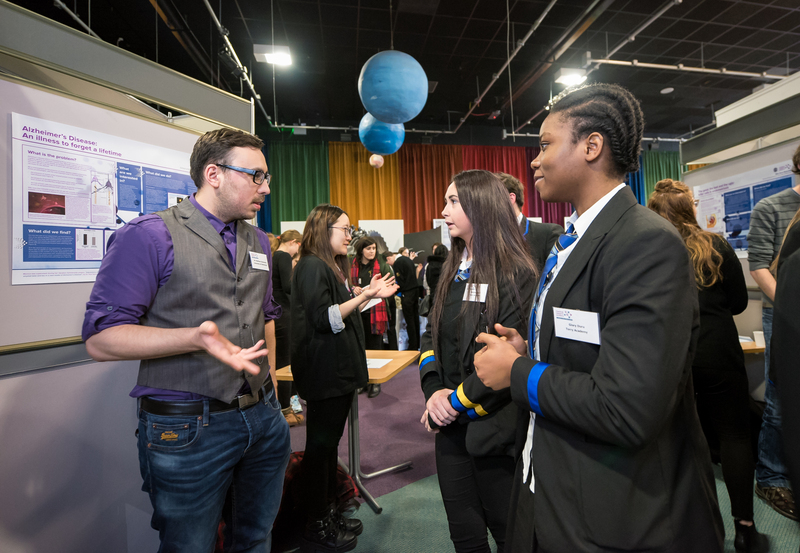 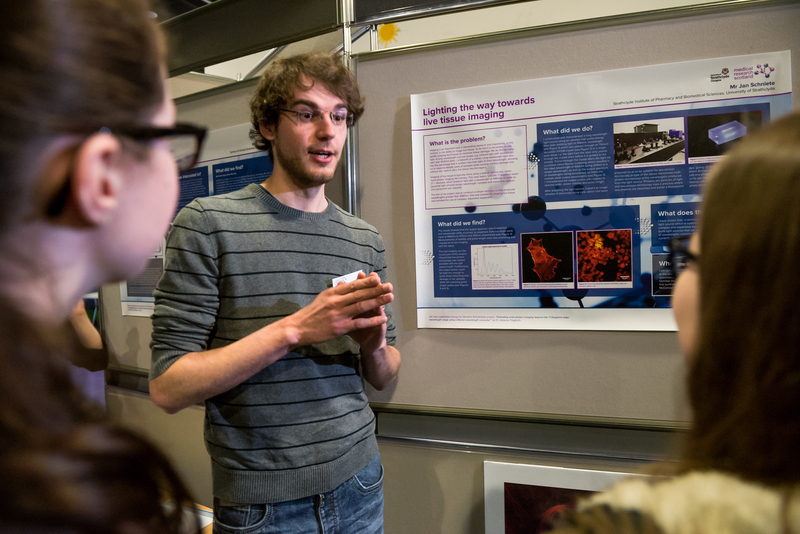 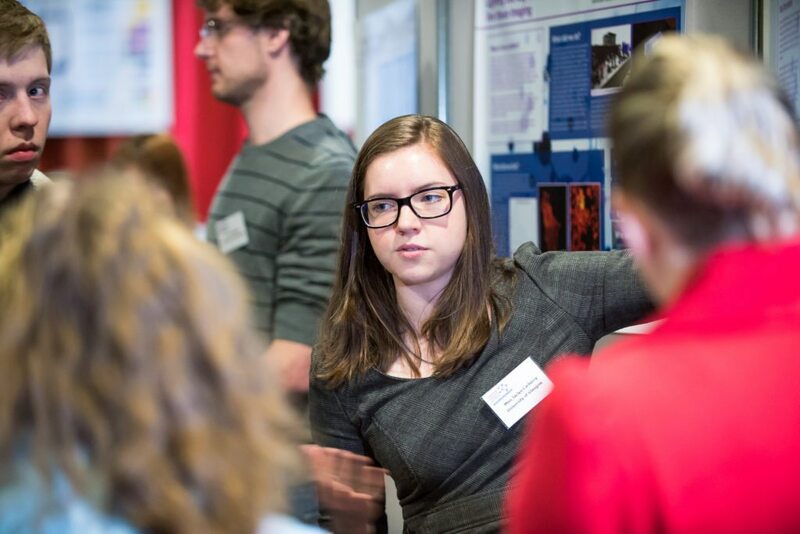 For the first time, the 2016 Meet the Researcher Showcase event was held over two days at two different Science Centres to offer a wider catchment of schools the opportunity to learn first-hand from enthusiastic researchers about their work. 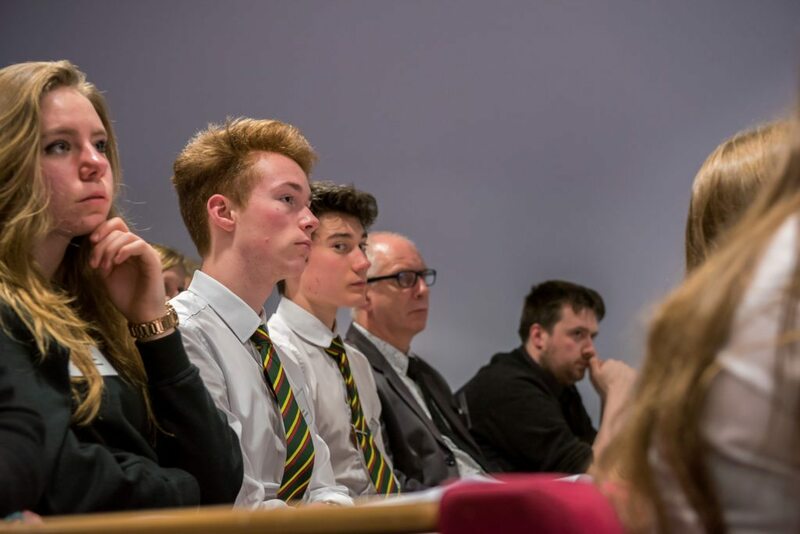 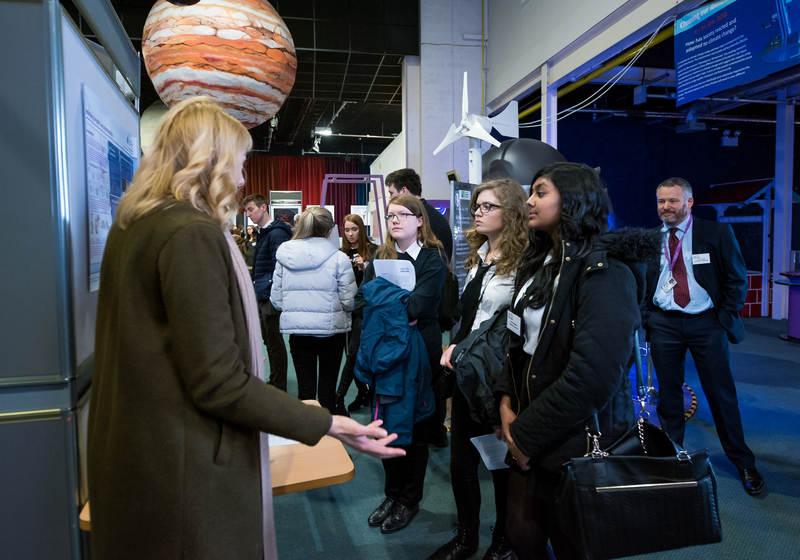 Over 120 fifth and sixth year pupils attended the events on 8 March 2016 and 9 March 201 at Aberdeen and Dundee Science Centres, respectively. 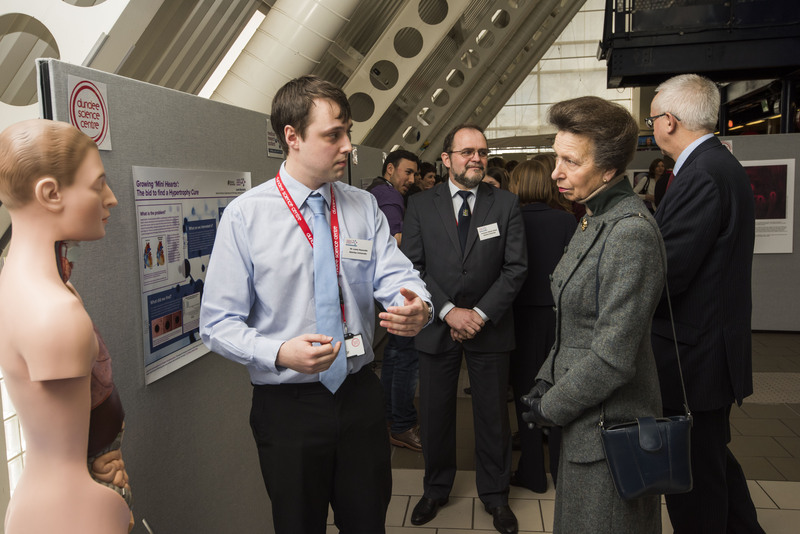 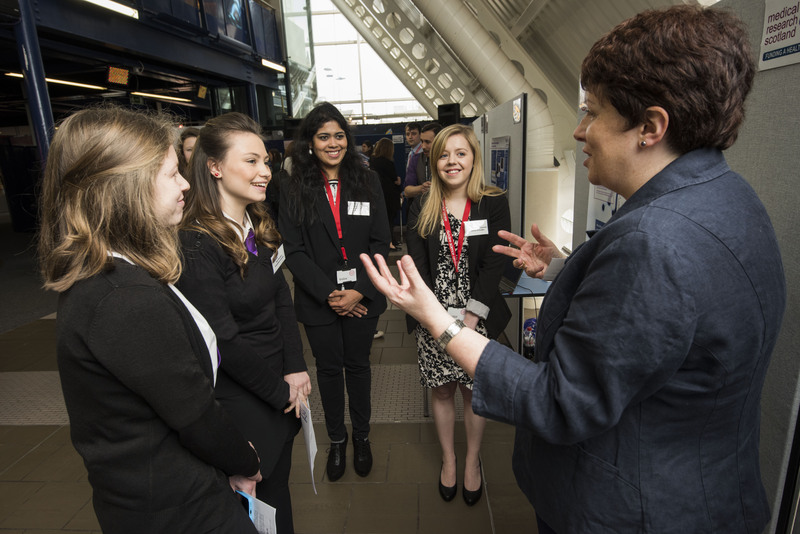 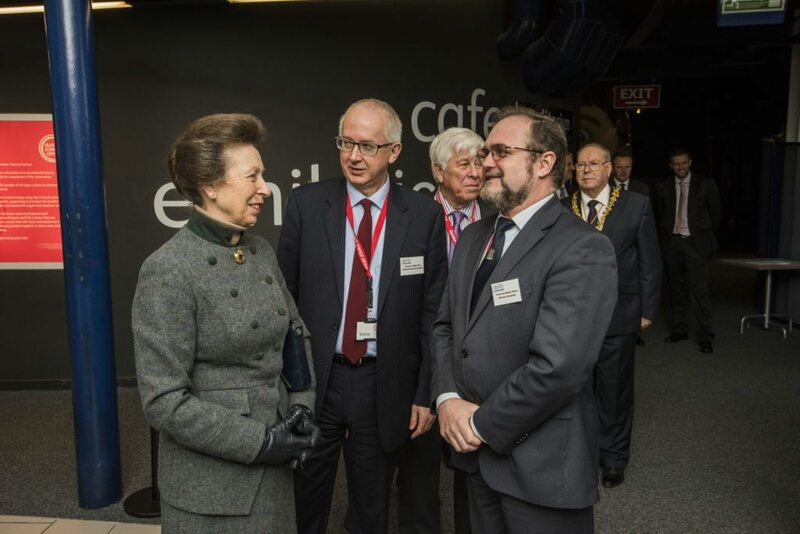 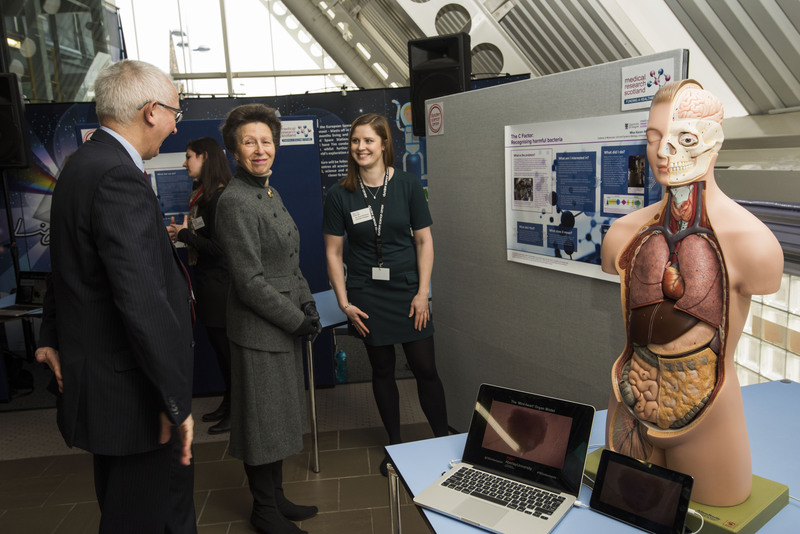 In her capacity as Patron of Medical Research Scotland, HRH The Princess Royal attended the Showcase at Dundee Science Centre, where she viewed poster displays of the research work of seven Medical Research Scotland Vacation Scholars’ and five PhD Students. 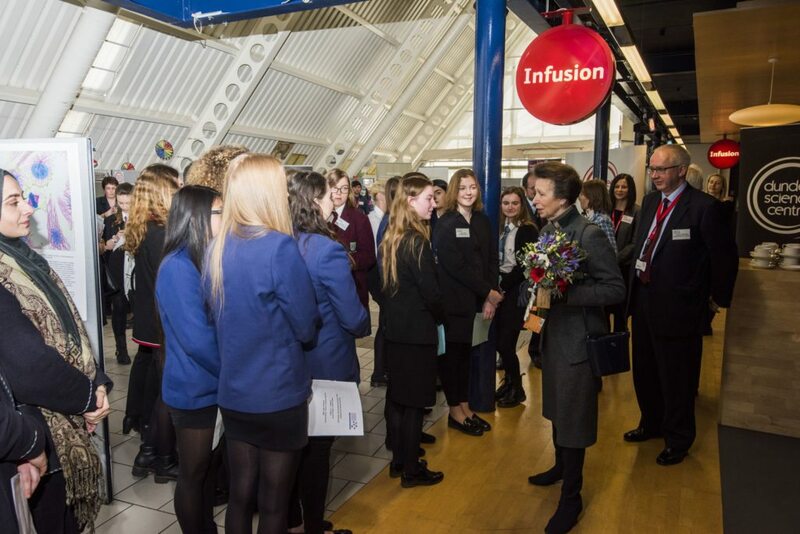 As well as meeting and talking to the researchers about their work, she spoke to the pupils and teachers. 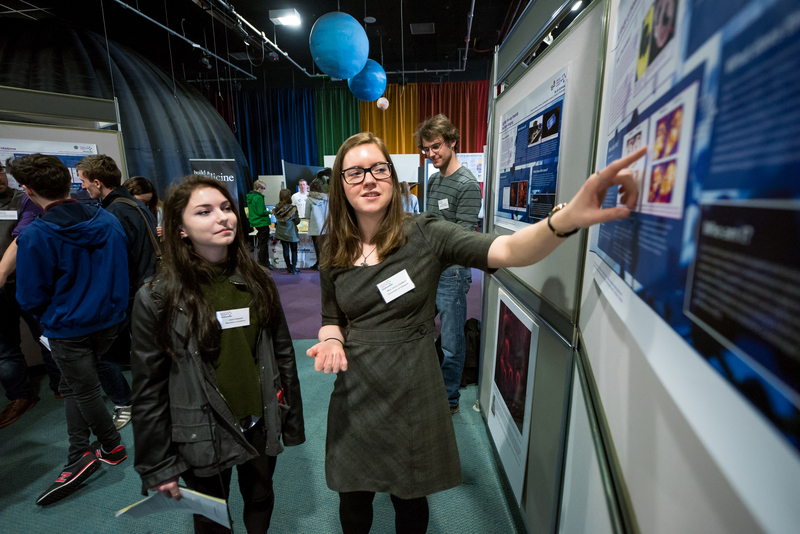 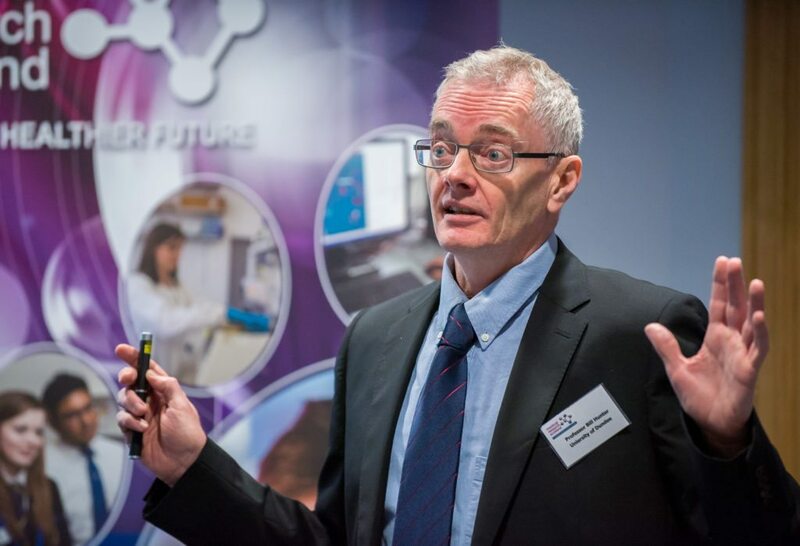 Over the two days, the event was attended by pupils from Aberdeenshire, Dundee, Edinburgh, Fife and Perthshire, who spoke with the Medical Research Scotland researchers as well as hearing inspirational talks from Professor Bill Hunter, Professor of Structural Biology, University of Dundee, Dr Douglas Fraser, Senior Scientist, Novabiotics Ltd and Dr Vanessa Duncan, Senior Research Associate, Novabiotics Ltd about their own research, career paths and options available to young people considering a career in medical research. 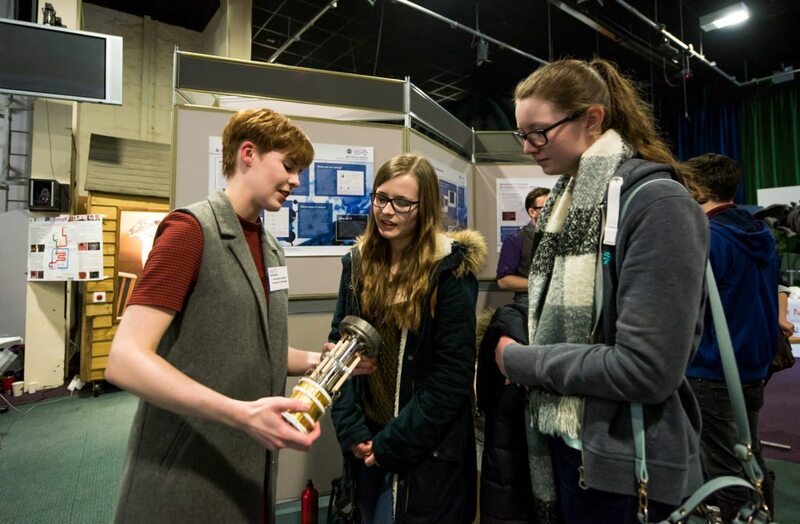 Exhibitors from the University of Aberdeen’s Marine Biodiscovery Centre and the Institute for Medical Science and Technology (IMSaT) were also on hand with their fun, interactive exhibits to illustrate drug design and development by way of models and endoscopy technology. 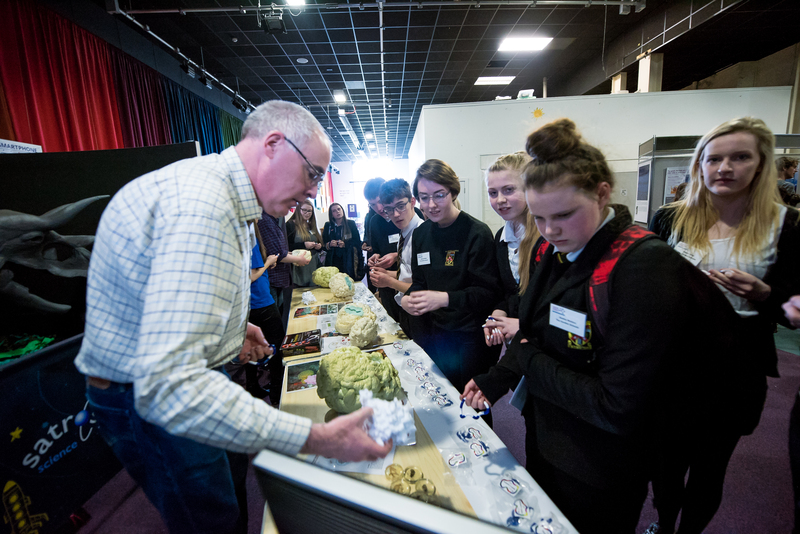 The Showcase not only gave the pupils the chance to engage directly with scientists a few years older than themselves, but it also gave the researchers the opportunity to rise to the challenge of explaining their research in an entertaining way to those lacking their own specialist knowledge, thus promoting the public engagement skills of the researchers we support. 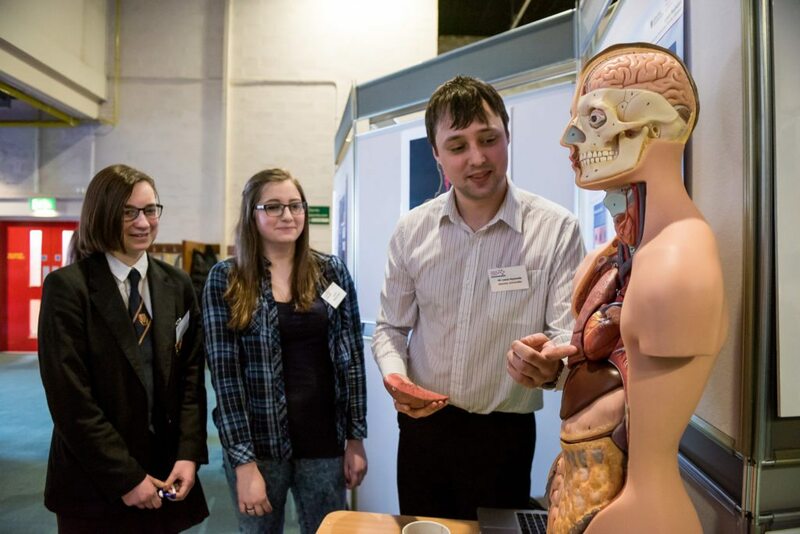 Topics displayed included Alzheimer’s disease, cancer, growing mini hearts in the lab, studying bleeding hearts in the clinic, lighting the way towards live tissue imaging and recognising harmful bacteria. 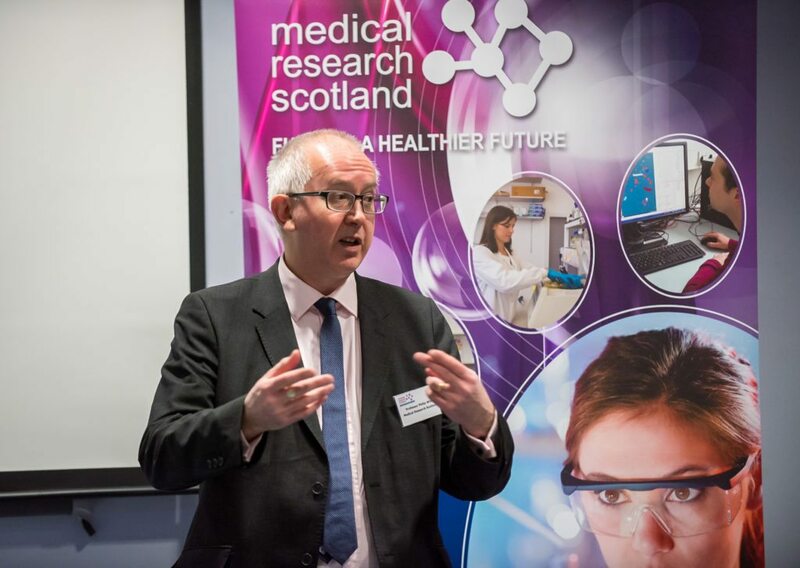 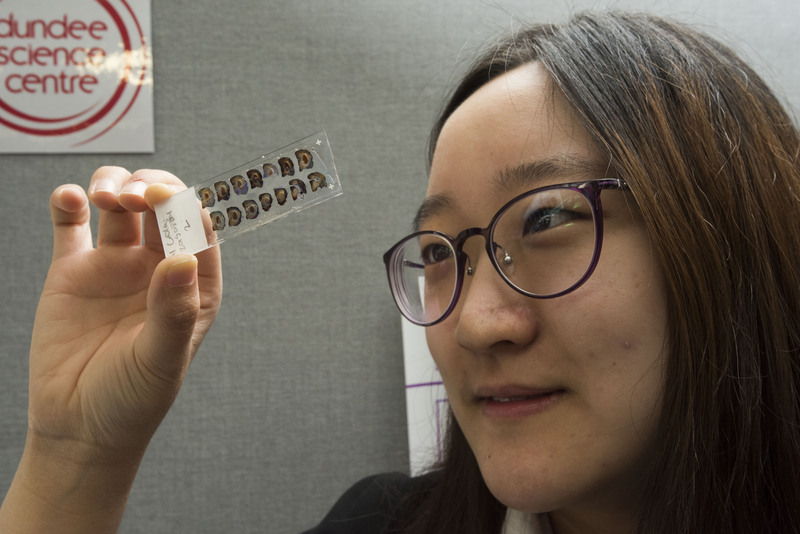 To view the posters presented by the Medical Research Scotland awardees, click on their photos below. 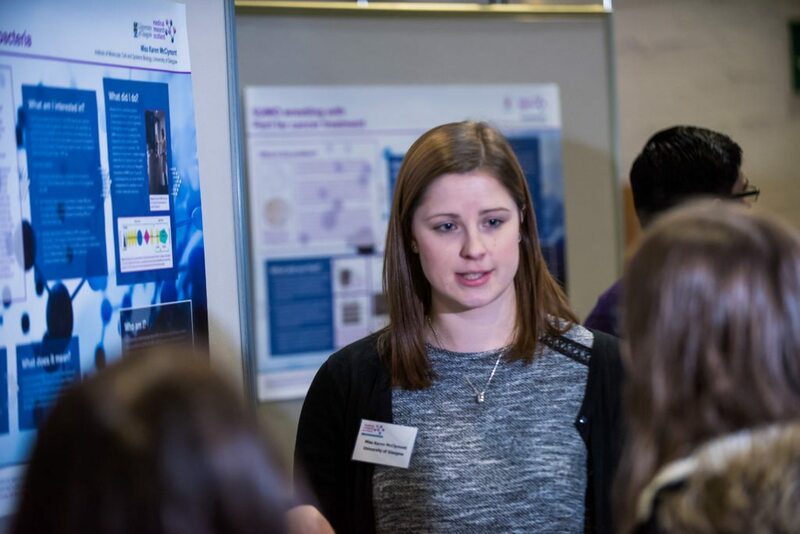 To view the posters presented by the Medical Research Scotland awardees , click on their photos below. 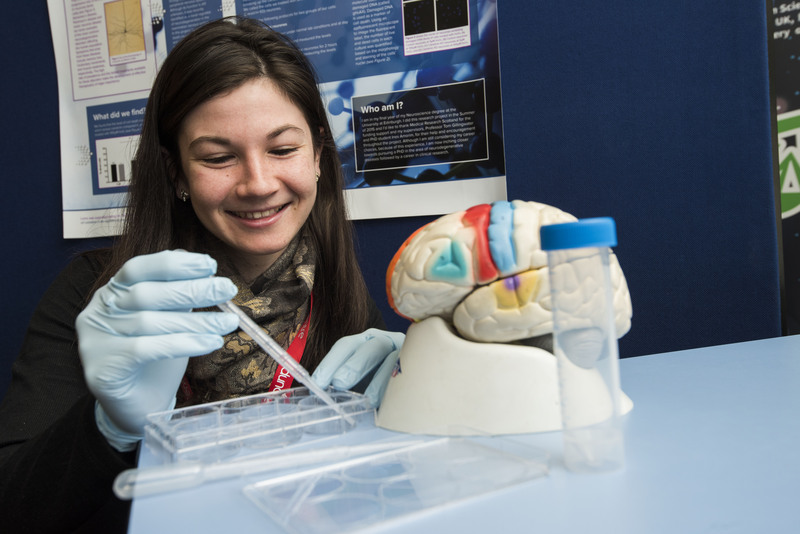 Neurodegenerative Diseases – Towards a new therapy?